Frannie is a beautiful soul, it is without doubt. She is totally goofy and our resident weirdo, but so very sweet and loving of her adopted family. Fran has just fit right into our family and it’s like she was always there. She is ALWAYS smiling and wagging her tail, and we can’t help but smile with her. She has been amazing. And her eyes are very deep and soulful! 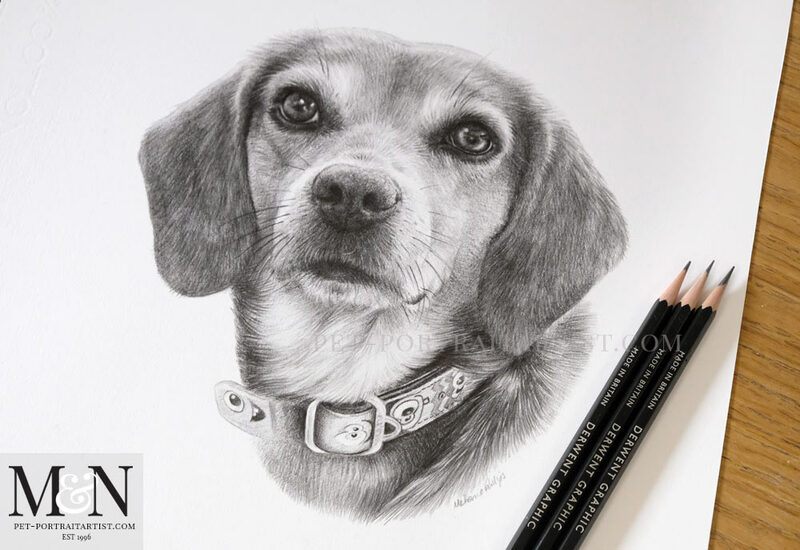 Ben was thrilled with the portrait and you can read his reply when he saw the final photo of Frannie below. 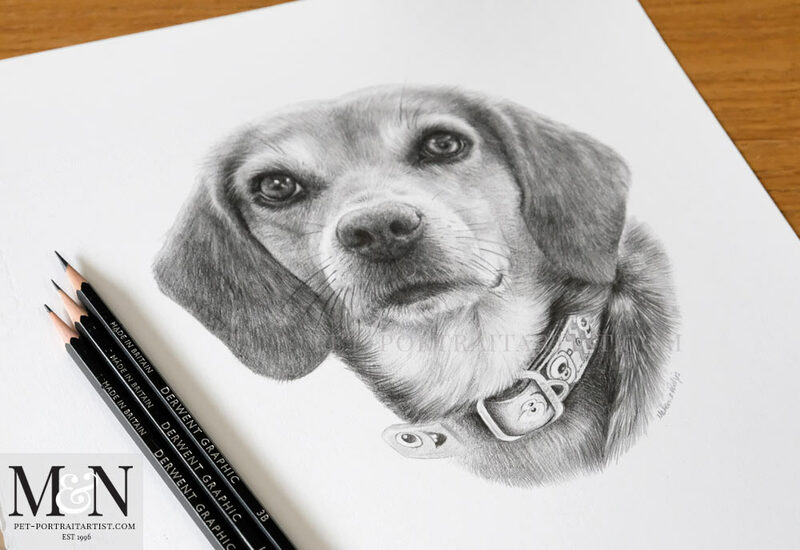 Amazingly Ben has also just adopted another beautiful Beagle called Blue and I hope to draw him soon too! Frannie! That is so cool. Thanks so much. There is no mistaking who that is and no missing the sparkle in those eyes. Wow. You truly have a gift (I’m sure you hear that a lot). I intend to surprise Marisa with it and she will LOVE it. Here is an email that Ben sent when he had the portrait of Frannie framed after Marisa recieved it! So thrilled that they love it! Just wanted you to know we got our Frannie portrait back in its frame. It is (for now) hanging in the place of honor by our previous portraits (it may move eventually). I took a pic with my phone to give you a glimpse. I realize now I should take one with her and her portrait together! Soon! We can’t stop staring at it… amazing. Love your work! Talk soon, always enjoy chatting. Thanks again. 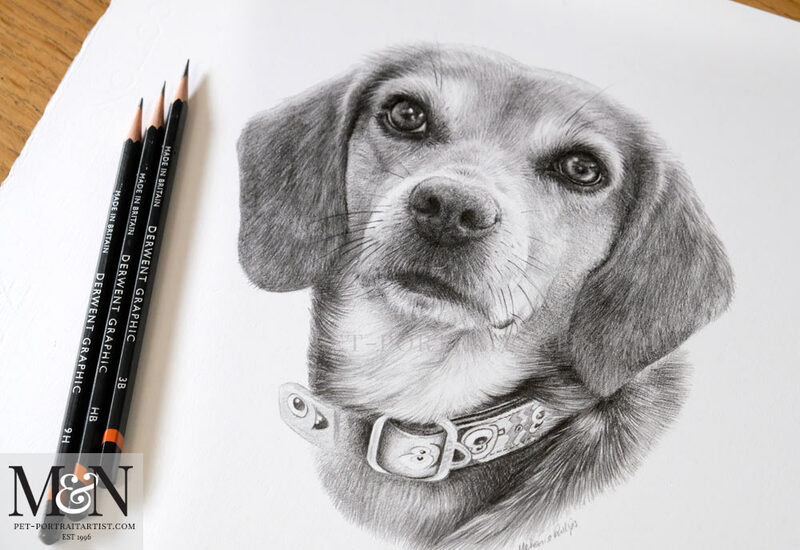 The photos below were taken of Frannie’s pencil drawing with my graphite pencils along side. 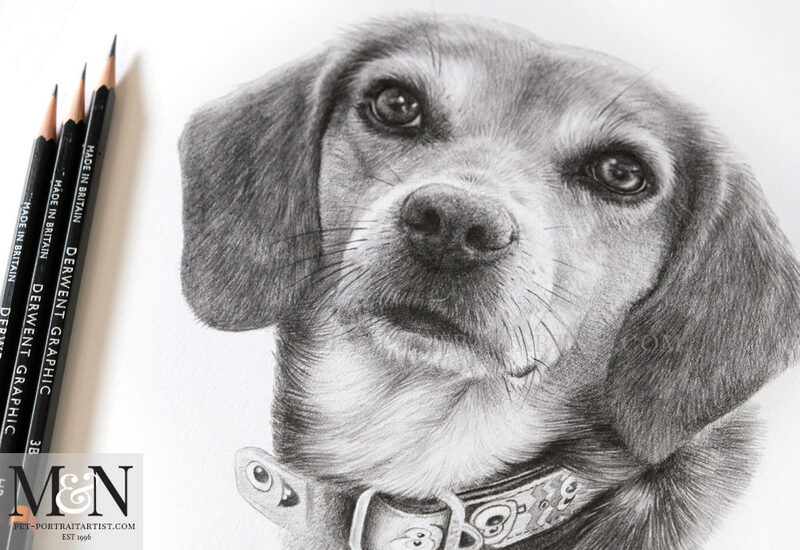 Hopefully you can see the portrait in more detail from different angles and close up too. 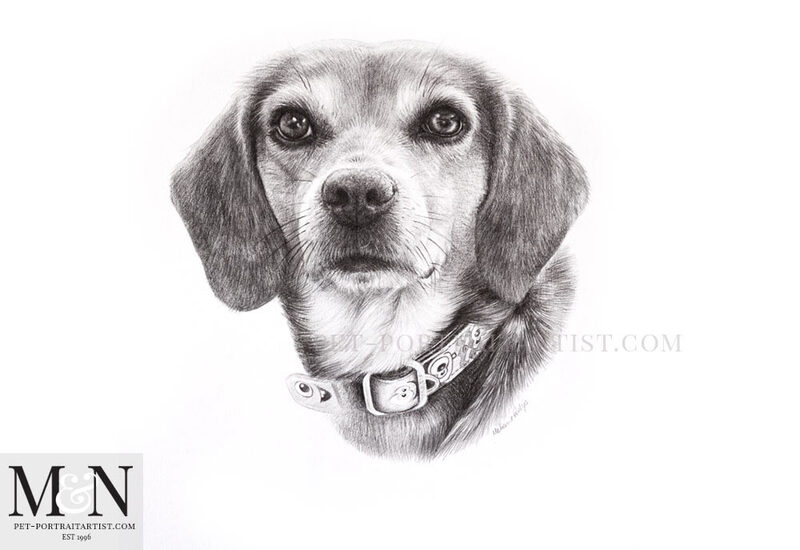 The portrait of Frannie will be packed up and sent to Ben as a wonderful surprise for his wife. We hope that she loves it!